Welcome to the Home of the Elite Freeze® Coolsculpting – The revolutionary procedure that combines TWO FDA cleared technologies to give you ONE amazing result! Elite Freeze® Coolsculpting has produced incredible results for our patients who desire a body contouring system that works! With no surgery, no downtime, and phenomenal results, Elite Freeze® Coolsculpting will get you ready for the beach in no time. 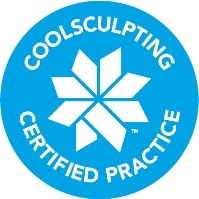 Dr. Vivek Bansal CoolSculpting Provider Dr. Vivek Bansal is a certified provider of CoolSculpting. View photos of the results this non-invasive procedure can provide. Learn more about this amazing procedure by clicking here. 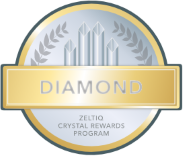 Browse our site and look at Before and After picture’s, Videos, Testimonials – and when you are ready, contact us to schedule a Complimentary Consultation! Areas Served Include: San Francisco, Danville, Oakland, San Jose, Concord, San Ramon, Walnut Creek, Berkeley, Blackhawk, Daly City, Dublin, Fremont, Lafayette, Livermore, Pattaya, Millbrae, Mountain View, Palo Alto, Pleasanton, Redwood City, San Mateo, San Rafael, Vallejo, Sacramento, El Dorado Hills, Auburn, Folsom, Citrus Heights, Placerville, Rancho Cordova, and more! © 2016 Elite MD All Rights Reserved. Website Design by Sky Marketing on behalf of Elite MD.